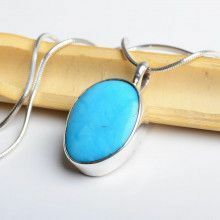 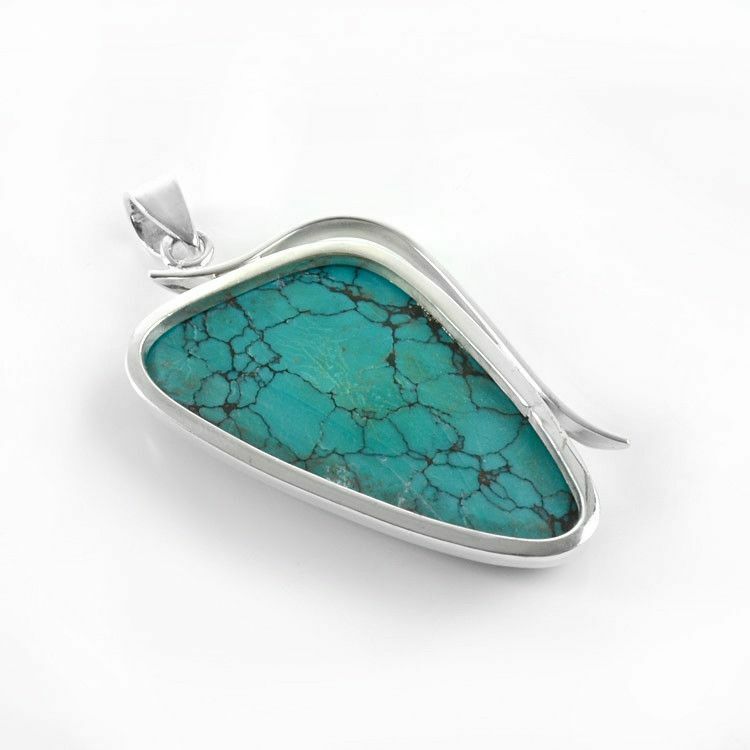 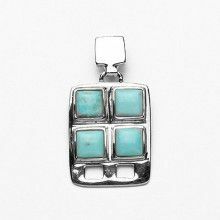 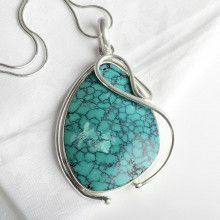 This modern and unique turquoise pendant is a great piece of jewelry for any collection. 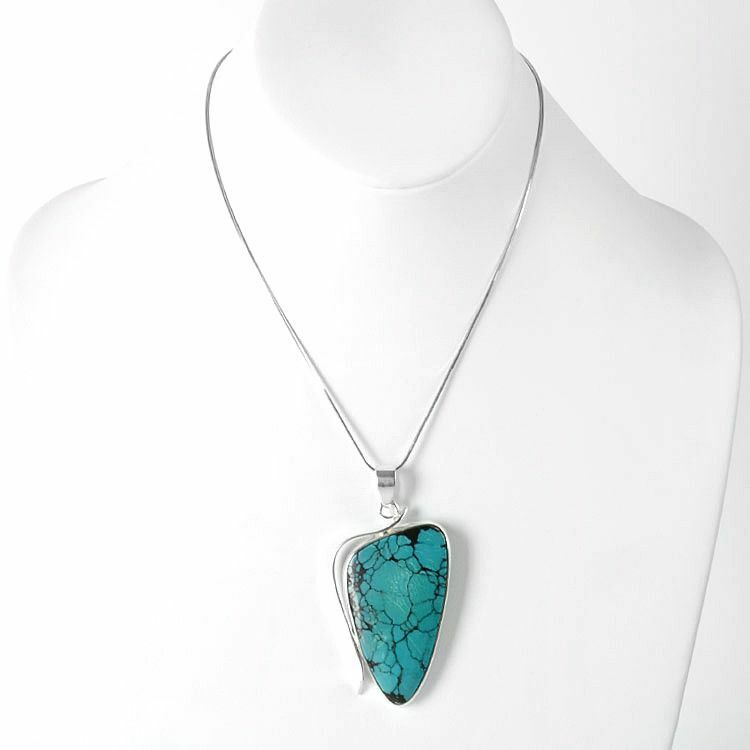 It features a darker colored turquoise with many natural dark lines throughout. 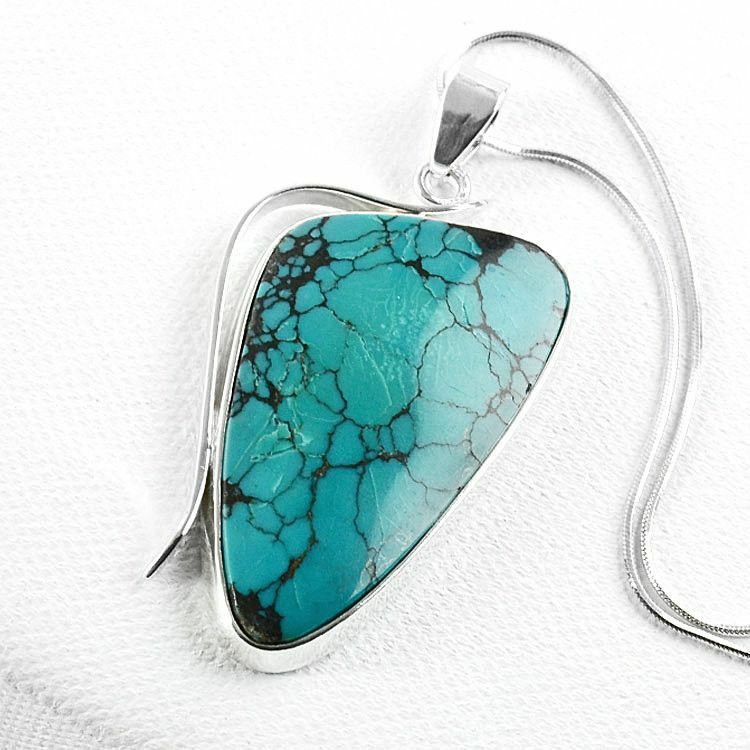 It sits in sterling .925 silver that has been stylized around the stone for balance. 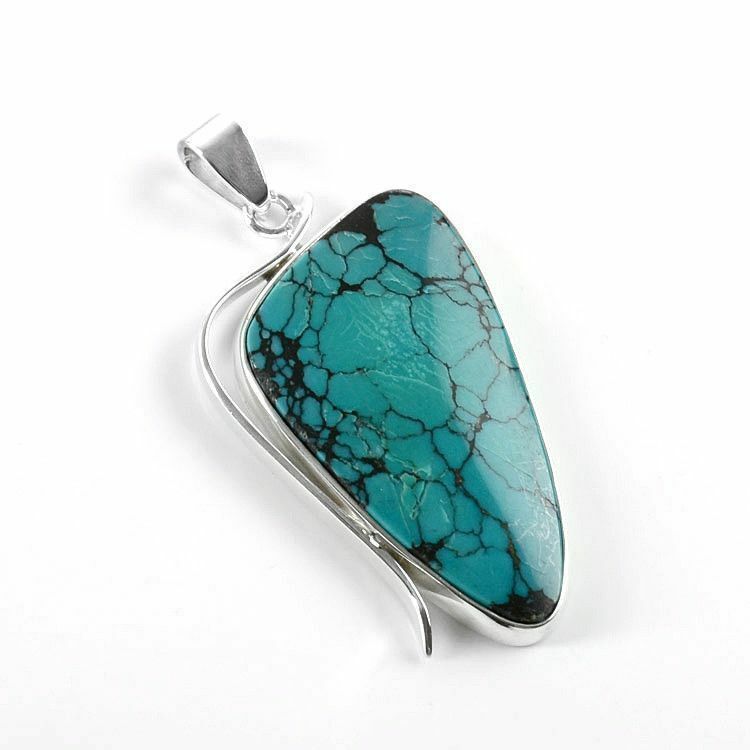 The total height of this large pendant is about 2 1/2" and the width is about 1 1/4." 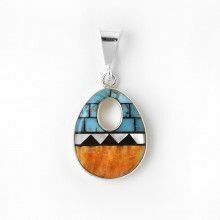 Pendant measures about 2 1/2" x 1 1/4"